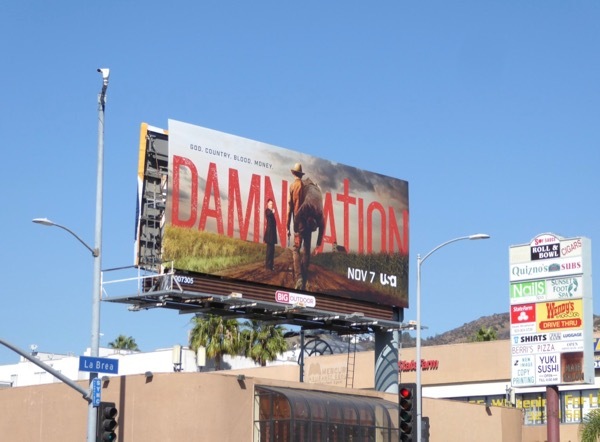 This past month the skies have been filled with Damnation, or at least billboards for the new TV series. 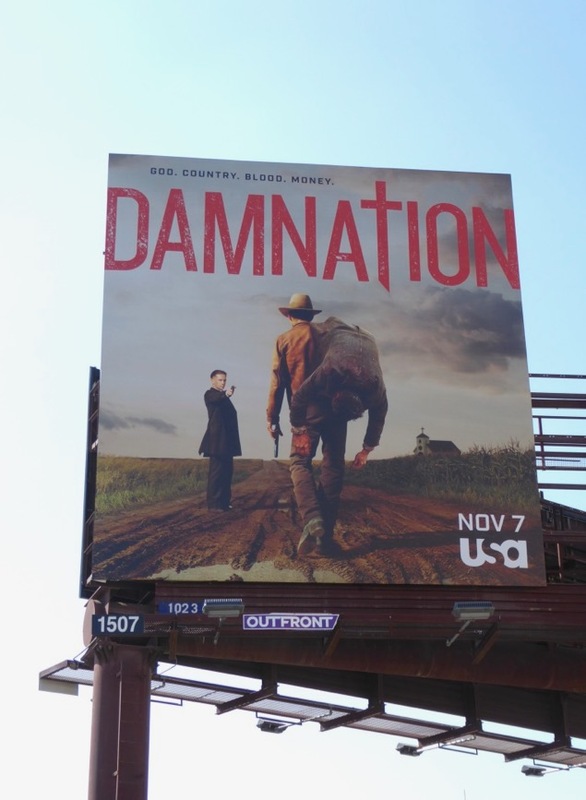 Set in Depression-era Iowa, a man masquerades as a small town preacher in the hopes of starting a full-blown insurrection amongst the downtrodden farm folk against the big money tycoons, unaware that they've sent a strikebreaker to quash an uprising by any means necessary. 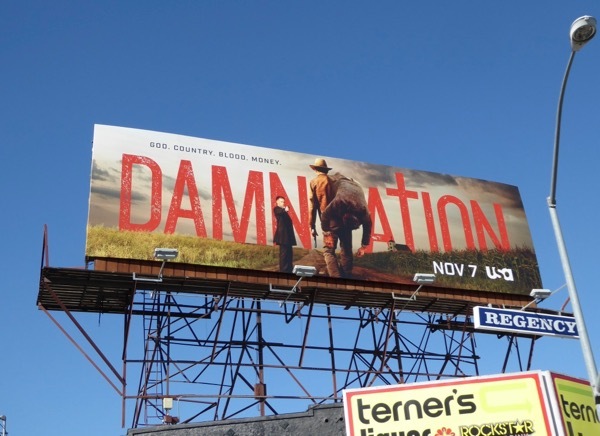 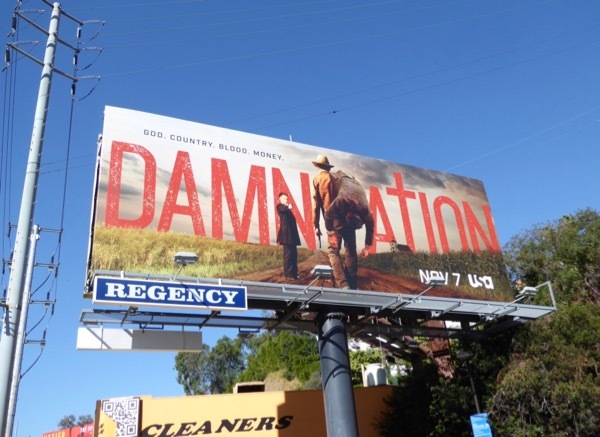 These series launch billboards for the new USA Network show set in 1930s American heartland were snapped along Sunset Boulevard, La Brea Avenue and Melrose Avenue from October 4 to October 11, 2017. 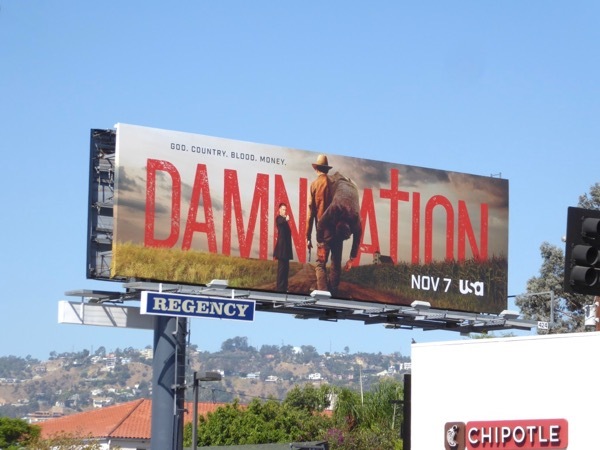 The rich and greedy at the top trying to stop the poor and hard-working from earning a decent wage, doesn't sound like much has changed in all these years does it.